You can use Siri on your HomePod to access your messages, notes, and reminders, all of which are what Apple calls Personal Requests. As a rule, these only work when the device that was used to set up HomePod is connected to the same local network, which Siri interprets to mean that you're home. That's nice to know, but it doesn't account for the fact that anyone within earshot of HomePod can still make personal requests to services synced to your iCloud account. That's not so good news if you share your living space with others, or invite guests over to stay, for example. 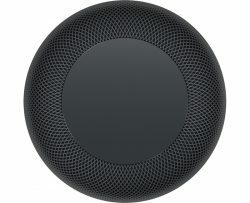 If you're already using your HomePod, you may recall being asked during the setup process whether or not you'd like to enable Personal Requests. Regardless of what you selected during setup, you can turn Personal Requests on and off from your iPhone or iPad whenever you like. Here's how to do it. Open the Home app on your iOS device. Tap the location arrow icon in the upper left corner of the screen. Under the People section, tap your profile picture. Under "Siri on HomePod", toggle on/off the Personal Requests button. Some things people worry about are funny. I have no fear of someone else, guest or resident, asking Siri to read my notes, messages or reminders via HomePod. Who are you living with or inviting into your home that this is a concern? Kind of a specific example but I currently live with my ex as we sort out sale of the home, etc. Wouldn't want them to be able to ask a Homepod to read my texts. How long until we get voice recognition that can recognize if the account owner is the person actually speaking? Don't you think that location arrow is a UI error? Can I disable this remotely? 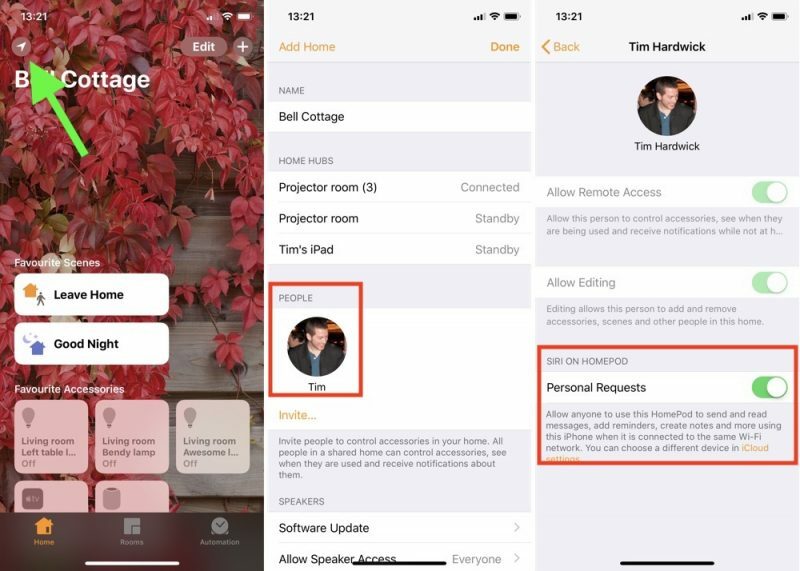 Personal requests don't work at all unless the iOS device associated with the HomePod is connected to the local network. Damn that a dumb question.